Mars is a graveyard; a spot where many a spacecraft slammed into the surface or perhaps, burned up in the atmosphere. This added drama to the Mars Curiosity rover landing last August. Roger Gibbs, deputy manager for NASA’s Mars Exploration Program at the Jet Propulsion Laboratory, shared how NASA implemented “lessons learned” from Mars 6 (which died on this day in 1974) and other failed Mars missions when creating Curiosity’s game plan. We’ll get more into Curiosity in a moment, but here are the basic principles NASA uses. Vigorous peer review. NASA wants its Mars teams to be close-knit. From working together and designing a challenging mission together, they form a common language that will serve them well during the challenging landing and mission. But that same closeness can lead to blind spots, so NASA undertakes regular peer reviews with scientists outside of the mission and sometimes even outside of the country. “The peers will come in. They are not vested in this. They haven’t become too engaged in that culture. They will ask pressing questions, and sometimes obnoxious and challenging questions,” Gibbs said. So how did this process help Curiosity? Well, this especially came to play when the team was designing the so-called “seven minutes of terror” — those final moments before the rover touched the ground. The team not only used parachutes, but also a device called a “sky crane” that used rockets and a sort of cable that lowered the rover carefully to the surface. Imagine the measurements that must have taken, taking into account how different the Mars environment is from Earth. 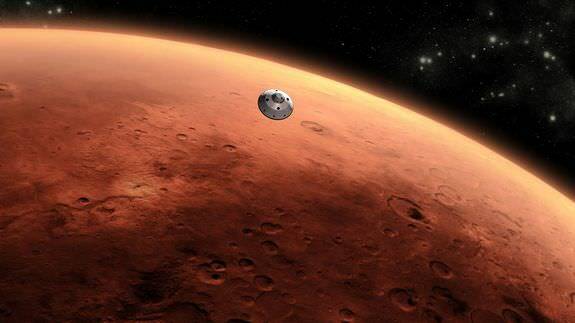 To gain understanding, the team reviewed again all the past mishap reports from failed Mars missions, such as the Mars Polar Lander and the European Space Agency’s Beagle 2. Then, according to Gibbs, they spent “a lot of effort” on doing the verification and validation. Curiosity’s landing would be extremely difficult to model, but the team threw every bit of data they had in there. They created an atmospheric model of Mars, modelled the trajectory of the incoming spacecraft, and tried to figure out how the various systems would respond to the environment. Next, they tried to tweak the variables to see how far they could change without posing a danger to the mission. If Curiosity had failed, NASA would have opened an inquiry board to figure out what had happened. These boards produce final reports that can be downloaded by anyone. Then, the agency would have tried to prevent the same situation from happening the next time a rover landed. “It’s a lot easier to learn from someone else’s bad experience, by reading the report understanding the root cause,” Gibbs said. I guess the article means to the layperson, but someone in any engineering field would know the difference between the two words. You “verify” that you are meeting your requirements at the lowest levels of the system. Thrust level, transmitter power, processor speed, etc. I.e. that you are doing it right. You “validate” that meeting your requirements as a set will achieve your objectives. This is done at the system level, since you might have forgotten a requirement, or a requirement might have been misinterpreted or mis-derived. I.e., that you are doing the right thing. And yet.. there’s got to be a better way to get large masses to the surface of Mars! Aero braking balloot ride anyone? How’s about a ‘transformer’ style aero braking balloot that reconfigures once it reaches the lower atmosphere and turns into a steerable hot air balloon or even a glider? Upon landing, again reconfigures and transforms itself into a pressurized habitat? And I thought the SkyCrane was Rube Goldberg enough. The SkyCrane concept worked is the bottom line… but so did the ‘crash bags’ of Spirit and Opportunity…. inspiring a completely steerable (at any altitude) high load carrying vehicle for Mars landingszuh? I like your thinking – but i would say: go modular, sent the brains, the car, the frame and other elements separately into the atmosphere, and let the car pick up and load the pay-load after landing. That “Sky Crane” stage of Curiosity’s landing still amazes me. What a daring feat of accomplishment, spectacularly successful triumph of bold innovation.